Now that Christmas is over and things are settling down, it’s time to get yourself something to cover your new (or old) phone in style! 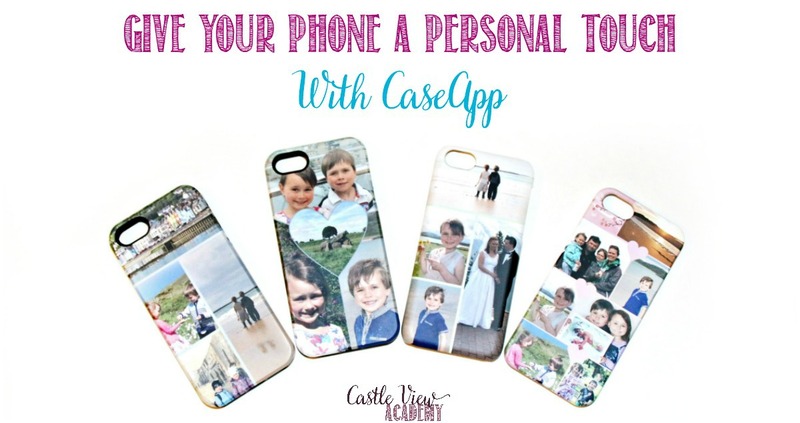 Whether you received a snazzy new mobile phone for Christmas, or you’re using a previous model; you will want to show it off every chance you get with a custom-designed cover from CaseApp! Or plan ahead for Valentine’s Day!! The lovely team over at CaseApp kindly provided me with gifts for the family so we could share our experiences with you. If you don’t recall, we’ve worked with them before on a laptop skin and some one of a kind stickers, and I was keen to see these custom iPhone cases in person! I just love giving personalised gifts, and ones that use photos are awesome for grandparents whether they live across the street or across the Atlantic! I have had to be ever so patient, though, as we designed one for Phil for Christmas so I couldn’t very well be using mine around the house ahead of time….and I hope Mom and Dad aren’t following today as theirs are currently crossing the Atlantic for a late Christmas gift! 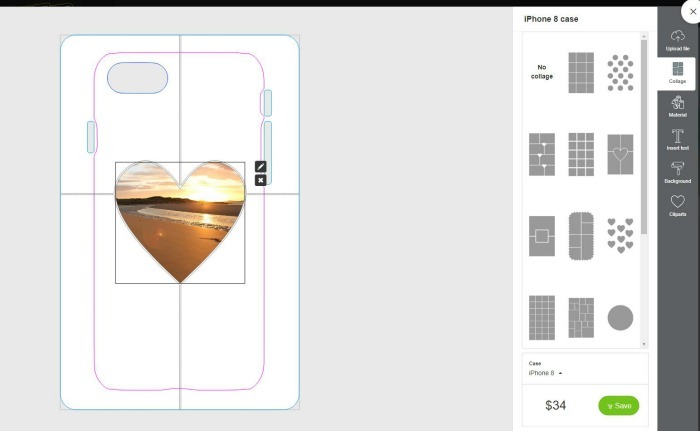 I have never had a custom-designed phone cover before, and I was curious how easy it would be to create. Let me tell you that with CaseApp the most difficult thing is choosing the photos that you want to use! That is what took me the most time; searching for the perfect pictures to include – and it all had to be done while Phil was at work and the kids weren’t using the PC for school. It was a bit of a juggling game, but we got there in the end. The first step in creating your design is to choose the device you are going to order; there’s a wide selection available from iPhones (thank you for still providing ‘older’ models as we cannot afford to upgrade our phones…and that’s where CaseApp comes in – a new phone case makes an old phone look great again), tablets, and Androids as well. Then choose the layout that you would like; one big photo, or several smaller photos. You can choose the frame colour at any time, but I chose that at the end to compliment the colours in the photos I used. The next step is to choose a frame on the case, click on it, and then upload the photo that you want to use. You can then move the photo around within the frame to get it centred and to make sure it covers all of the frame, even around the edges as some of the frame shapes are pointed and not all pictures will cover them well. Take your time and get the right pictures in the right locations and you’ll do great. There was one photo I used where I did a little creative cloning in another program in to add more green leaves to the background so that it would sit well. It wasn’t difficult and the result was so much better in the space than the original picture was. One thing I might recommend to CaseApp is that they should have a way to sign in so that one can access the designs from different computers/laptops. For Dad’s case I used a photo I knew that he liked, and for Mom, I used one of a location from her first trip to Northern Ireland, and for Phil the kids chose a photo from our wedding. Then I added some pictures of their grandchildren; what better way brighten a day or to show them off or start a conversation than with cute, smiling faces looking up at you when you pick up your phone? I may be a little biased here, of course, but that’s a parent’s prerogative! These case designs wrap around from the back of the phone, over the sides, to the edge that you see when you look at your phone’s screen. The program will show you the shape of picture you’ll need to cover all of this area, and you can toggle between views to see what the back of the phone will look like with the wrap-around areas cropped out. For Mom and Dad, I chose Extra Protection Tough Cases that have a silicon lining underneath the card case to help protect their phones should they be dropped….and after the past month, I’m thinking perhaps I should have chosen that for myself as well…as I seem to be going through a bit of a clumsy period. The silicon lining doesn’t take up a lot of room so the phone doesn’t become bulky. For Phil and me, I chose ‘regular’ cases. All said, there were three different models of iPhone and so far they all fit nice and tight so we don’t have to worry about the phone dropping out of the case or losing the case from the phone. Perfect. For my own case, I just couldn’t decide which photos to use! So I chose a cover with more frames on it and had fun filling it up with many photos from our first family camping trip. I had Tristan’s first photo included, and I was even able to sneak in our little logo. 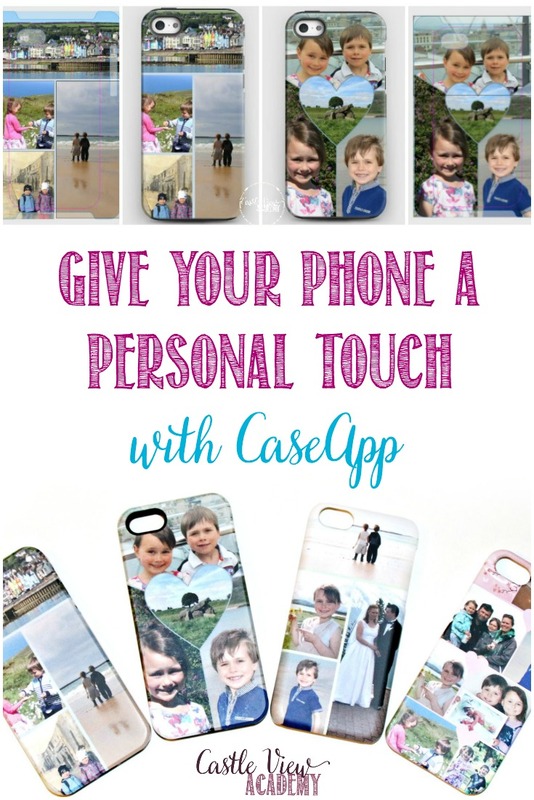 I love having so many photos to distract me; but now that I see the phone cases in person, I think I prefer the cleaner look with fewer photos; but that’s all up to your personal choice, and why there are several templates to choose from! I placed my order, and watched the progression of the package make its way overseas to me using the tracking number. 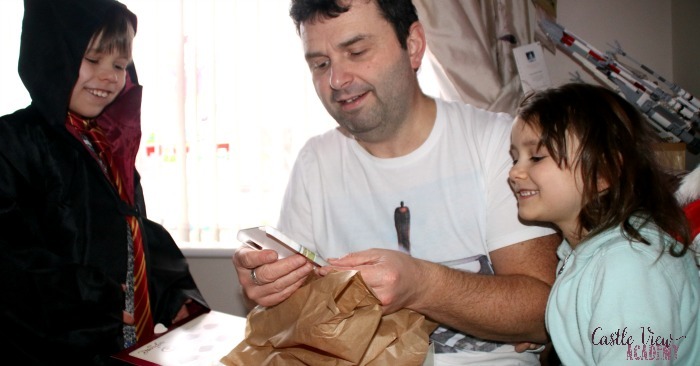 When the package arrived the children and I opened it up before Phil arrived home so we wouldn’t ruin his surprise; inside we found four beautiful cases, all personalised with our own photographs specially chosen for each recipient. It’s safe to say that Phil loves his gift; he didn’t want to leave it behind for a day for me to take some photos! Phil and I have now been using our phone cases 24/7 for the past three weeks and they do not show any signs of wear or tear. Phil bikes 30 miles a day commuting and I am on mine too long into the night catching up on the news both here and abroad, as well as using it for music during the day. These CaseApp products are doing the job very well, and I can say from experience that I’m impressed with their quality; that laptop skin we designed for Phil over two years ago is still on his laptop, and is only showing a little scuffing around the corners from being moved in and out of his laptop case on a daily basis. It’s still holding fast and looking great each week when he has it out during the kids’ Jujitsu classes. Follow CaseApp through their website, Facebook, and Instagram. I would design one for my daughter with her 3 boys’ photos. That would be just perfect! 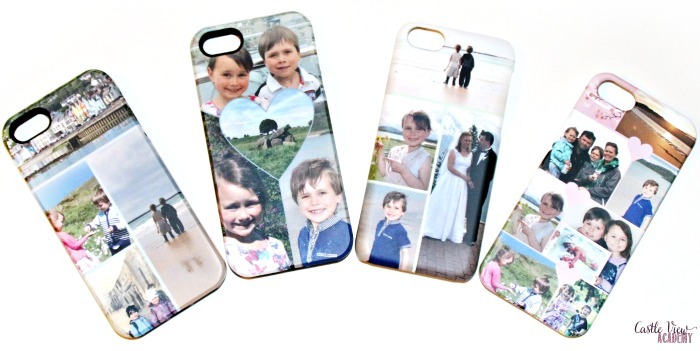 I would design it for my own phone, and have pictures of my family to look at everytime I use my phone! My kids for their Bdays and with pics of fun times we shared ! I would love to win a case for myself with a picture of my kiddos! for me! I just broke my case yesterday and would love a thinner more fun one! This came along just in time for me, too as my case had cracked such that I couldn’t use it. Now I have a much better case that looks great! Good luck! I’d love to design one of these for my husband with some of our favorite family photos. I would design a case for my mom and put her dog on it! Thanks for the giveaway! I would design one for the grandparents with photos of their grandchildren. I would design one for myself and put my family on it! I would design it for myself and I would put a picture of myself and my husband on it. I would give it to my wife. She would want a picture of us. I would design this case for me and put pics of my family on it. I would design a case for my phone with pics of my kids and grandkids. I would design it for my own phone and put a picture of my family on it. It would make me smile just to pick up the phone! I would design one for our daughter. I would put her picture on it.